Window Film can provide UV protection for your home, helping to maintain the colour in wood flooring, carpeting and fabrics. It surprises many people how fast these items ‘Fade Out’ when exposed to the sun’s damaging effects -making new items look old fast. And these same ultra-violet rays, streaming through unfiltered windows, can be just as potentially harmful to your family inside your home as spending day after day outside without sunscreen protection. When applied to existing glass Window Films reject 99% of the sun’s UV rays. And by blocking more than 99% of all UV rays, Window Film offers UV protection for the things you love and have special meaning to you. It will help preserve the color of fabrics, carpets and hardwood floors and help protect fine antiques, woods and works of art from discoloration and fading. But more importantly it provides UV protection for your family. How Does Window Film help to Control Fading? 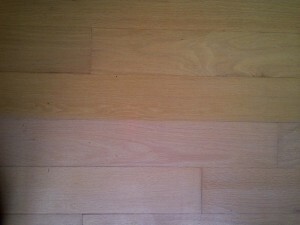 – It is important to control not only the UV light but to control some amount of visible light and infrared heat. 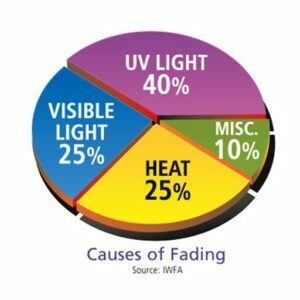 If you block out all of the UV light you are only blocking 40% of the cause of fading. If you blocked all the Sun’s ultra-violet, visible and heat you would block out 90% of the cause of fading, but be in the dark. But if you controlled all the Sun’s UV and 50% of visible light and heat you would control 65% of the cause of fading and not be in the dark.